As a college teacher of writing, I was always uncomfortable with high school teachers asking me what they should do to prepare their students for postsecondary writing. After years of giving vague and unhelpful answers, I finally landed on a less vague, but still unhelpful answer: Don’t prepare students. Teach great high school writing and then when they get to college, I’ll teach college writing. For this reason, and to represent the expansive goals of the program, the College-Ready Writers Program is now College, Career, and Community Writers Program, or C3WP. This tension around college preparation emerged early on in the College-Ready Writers Program. All of us had a story. Mine was standing in front of a group of teachers talking about the College-Ready Writers Program in a border town in Arizona. A teacher raised her hand and said, “So what if our students don’t want to go to college? A lot of them don’t.” Fortunately, the program as it emerged over the first years was more than a college-prep program, so I could answer her question. 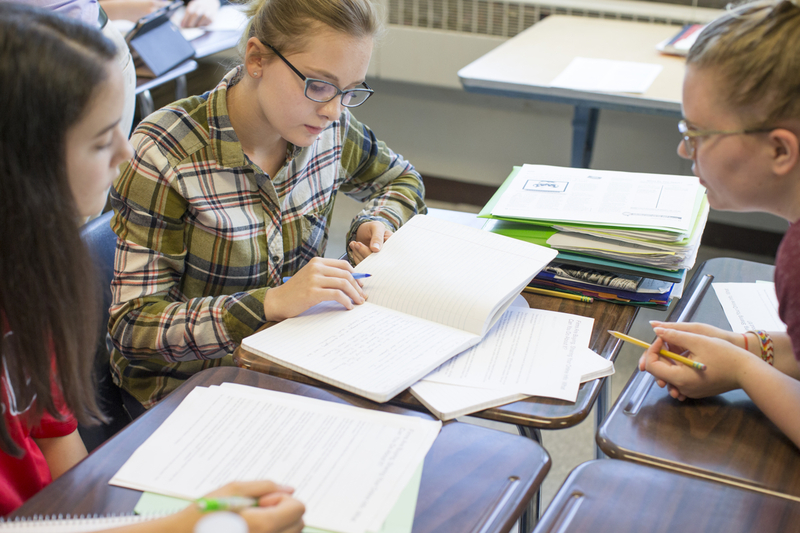 C3WP engages students in real, actual conversations among adults and helps them enter into those conversations using reasoned argument based in evidence. Doing this helps support students’ identities as doers, as knowledge people who take part, who participate. Certainly, students in all schools should have dreams that cover a spectrum of possible lives, and college can be one of them. In some of the communities where NWP works, getting a college degree can make students feel out of step with their community; there may be few jobs that require post-secondary training or there may be family or cultural traditions of work where training is done in apprenticeship relationships. Sometimes, then, attending college does not just feel out of reach, it poses the risk of alienating a student from his or her family and community. C3WP experiences need to be relevant to students with a range of desires who wish to participate in a broad range of communities. The second change, in addition to eliminating “ready,” addresses the more expansive goals of community and career, where being a participant in democracy, a voter, a reader, a petition signer, a social media user, all benefit from reasoned approaches to examining evidence, and take carefully crafted arguments to participate actively. C3WP’s emphasis on argument as action helps students make change in their classrooms, schools, and communities. A great example from the C3WP instructional resources is the Community Research Argument, originally designed by Casey Olsen, a teacher-consultant from the Elk River Writing Project and a member of the C3WP. Students create lists of community issues, choose one that they are especially interested in, collect multiple points of view through local news, interviews with community members, and any relevant national research. Then they write a detailed researched argument discussing the issue and the various evidences that they have found. From this deep research, they write an action piece, an op-ed or a letter to the editor. Students have discovered the power of such argumentation by changing important policies in their communities. Two students argued for the creation of an ambulance district funded by taxpayers to ensure emergency services to all parts of their community, despite opposition from the county board of supervisors. Real change that saves lives. Not all such work results in dramatic or newsworthy change. As adults, we know that, more typically, that the path towards change is rife with obstacles, redirects, reconnoiters, brickwalls, and surprise successes. Steve Fulton, a teacher-consultant from the University of North Carolina Charlotte Writing Project used his experiences in C3WP to create the Responsible Change Project, where students engage in writing, reading, and research around issues in their lives that they wish to change. What they learn is what most of us have learned: change is hard; bureaucracies are recalcitrant; some people don’t want to change. His students’ work shows the reality of change: sometimes we meet with great and joyful success, sometimes we take a small change instead of the big one we wish for, and sometimes we wait for the next opportunity. C3WP equips students for making change by making reasonable, respectful arguments. Students, as Casey Olsen is fond of saying, are already in the real world. Our work, the work of the NWP, engages young people in the “now” in community life and opens opportunity for learning and change. WRITE/LEARN/LEAD is a collection of resources, insights, and reflections from National Writing Project teacher leaders. You can also find us at nwp.org and Educator Innovator. The National Writing Project focuses the knowledge, expertise, and leadership of our nation's educators on sustained efforts to improve writing and learning for all learners.